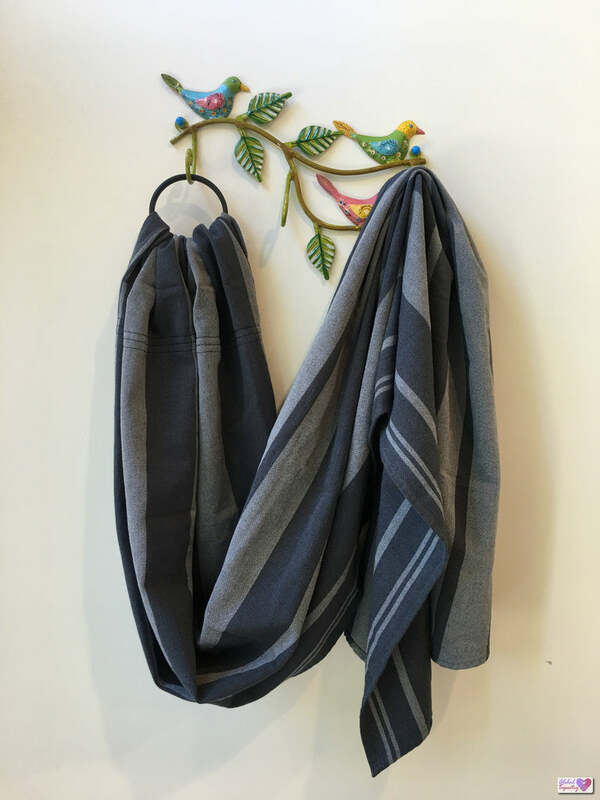 Fabulous monochrome black/grey Ring Sling that will match every outfit! Made from a Little Frog Onyx babywearing wrap. 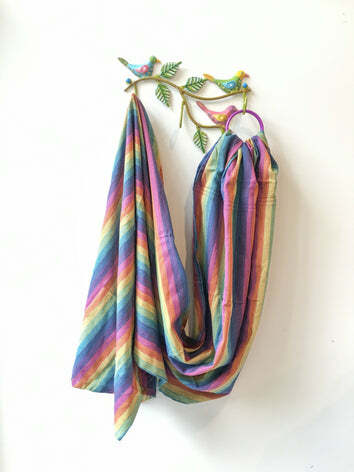 Rings Slings are fabulous for premies, new borns, babies, toddlers and big kids! 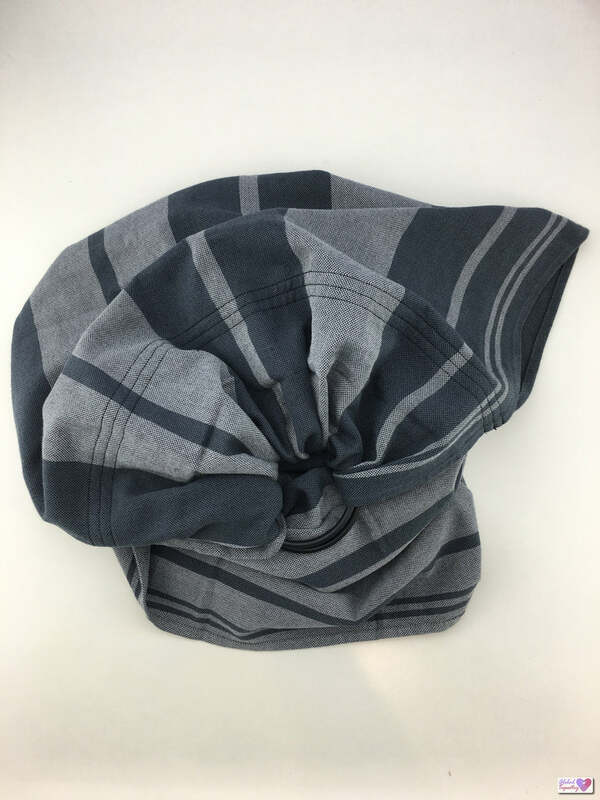 They are worn over one shoulder with your baby sitting either on your front, on your hip, or even on your back (for advanced carries). 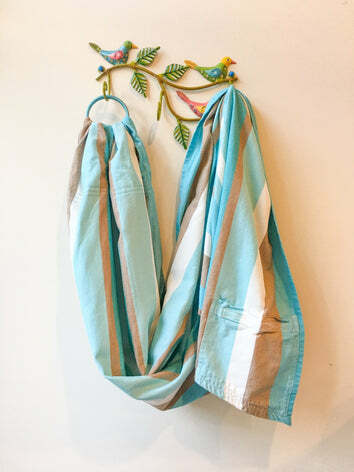 Ring Slings are awesome for quick trips to the shops or for the school run - perfect to leave in the car or in the nappy bag for when you just need to give a kiddo a quick uppy! 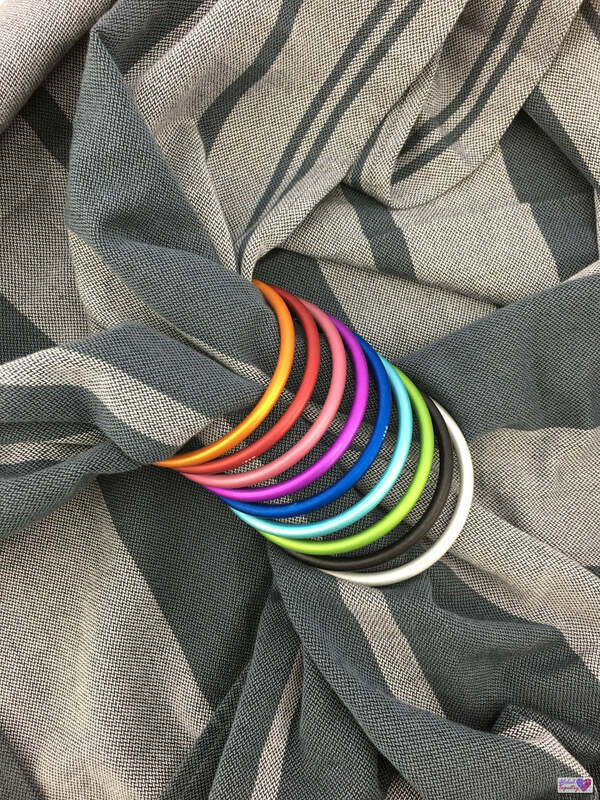 These Ring Sings are converted by us from NEW babywearing wraps. When you buy Global Tapestry products, you are supporting a greater cause! At Global Tapestry, we believe we all have a Global Impact, so we donate a percentage of our profits to a range of charitable organisations. We support charities all around the world with a range of different causes. To find out more about how your purchase helps, read of our Global Tapestry – Global Impact Statement. Find our how quickly this item can get to you! Check out our Postage Rates and Delivery Times - some items even have FREE postage!